STEPS ! STEPS ! STEPS ! When deciding on steps - the way we get in and out of a pool - sometimes we know exactly what we are looking for. There are other times however, when we are not entirely sure. Whether you are building a new above ground or inground pool, there are many options to choose from. One step option for an above ground pool is the traditional A-frame ladder. 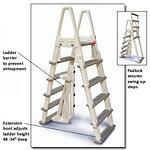 No, that was not a typo – it is technically called a ladder, and not a step! But the purpose is the same. A-frame ladders can be applied to many pool sizes, and come with multiple options. These options include a roll guard, which improves the safety quality of the ladder, and a heavy duty ladder, which improves its stability. A-frame ladders are also easy to build around when considering deck construction. 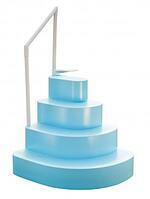 The A-frame ladder is a logical, cost-effective, popular step choice for many above ground pool owners/builders. 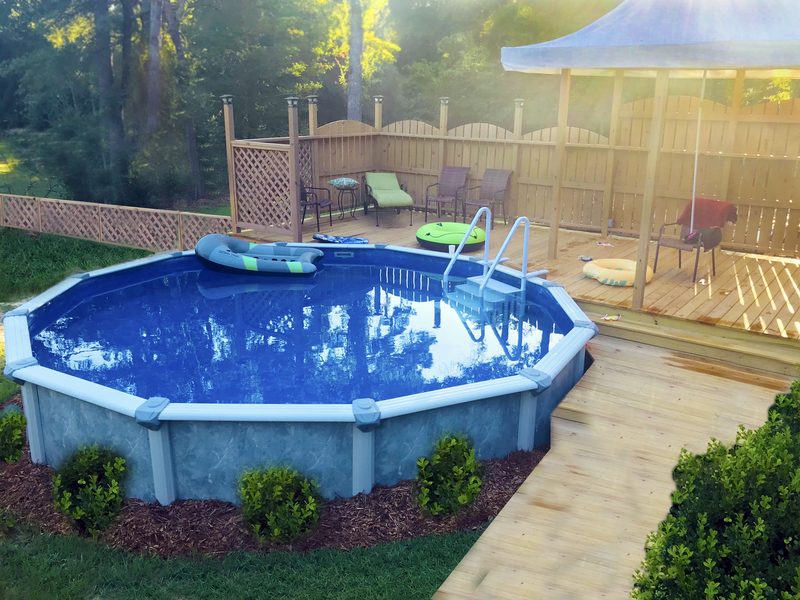 Inground pools also come with numerous step options – the sky is the limit! When considering these acrylic steps, there are several details to consider; everything from size (2'-10'), style (straight back or roman back), tread number (three or four tread), shape (corner or radius) and even color! 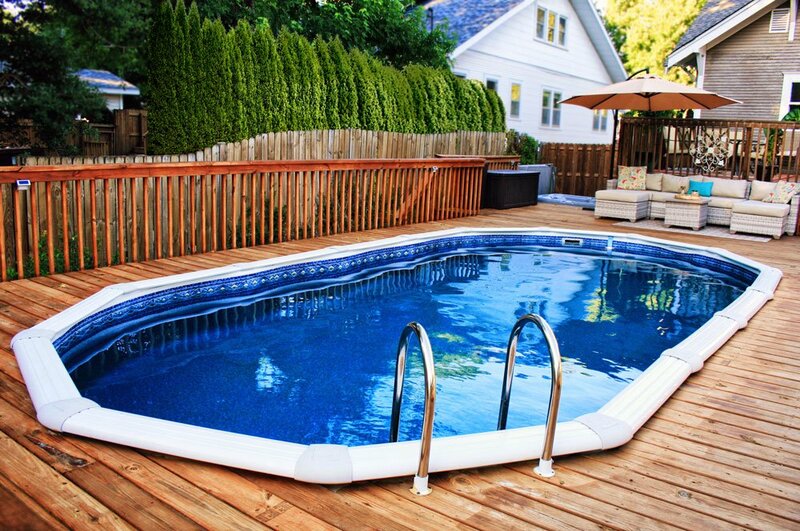 All of these options are dependent on the layout and structure of the pool. 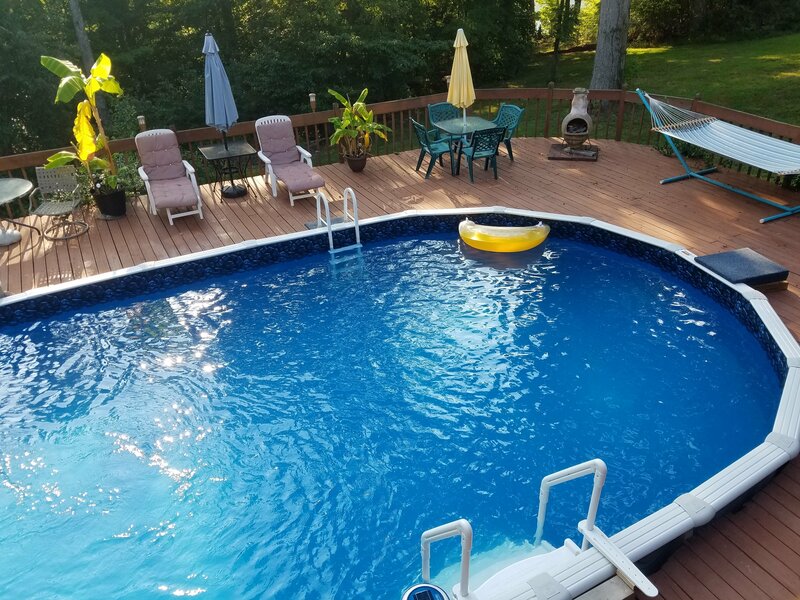 Another step option for inground pools is a vinyl over steel step. This steel step allows your liner to fit directly over top, making for a continuous, undisrupted pattern. Steel steps and loungers can also be made as drop-ins, for renovations and new installations. Steps can make a big difference in the flow and feel of your pool design, and with so many different options, it can be hard to choose! For a complete listing of Royal Swimming Pools’ step options for both above ground and inground pools, please visit the following links!